The very special town hall of Retz: Originally built as a church it turned into the office of the mayor after some war destruction. The most interesting detail is beneath the town hall: A huge wine cellar system named Retzer Erlebniskeller! 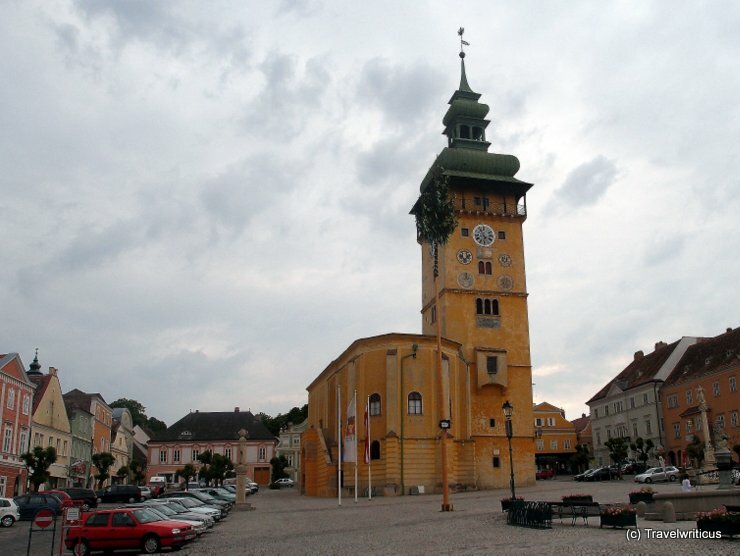 This entry was posted in City Halls and tagged Austria, Lower Austria, Retz, Weinviertel by Travelwriticus. Bookmark the permalink.